Providing the support, guidance, instruction and accountability to help you reach your health and fitness goals! You admire successful people who especially are energetic, charismatic, vibrant and seem fully alive! And when you look at top professional athletes, it’s easy to see that all of them have a coach. It’s no mystery. When you have someone who’s in your corner and also holding you accountable, YOU produce amazing results! You have also come to recognize how important your physical health is to the level of your energy, and thus how it impacts the level of your vitality, productivity and – ultimately – your success. You realize you need some support in this area for you to be at your best. We all know that it takes 21 days to establish a new habit, but did you know that it takes approximately 12 to 18 months to establish a new LIFESTYLE? No Non-Sense! Coach Ruben’s Healthy Lifestyle Coaching is a no-nonsense, practical, simple, efficient and effective coaching program designed for you – the busy professional – who doesn’t have time to waste and needs to get results! You will work personally with Coach Ruben, who will coach and assist you in establishing a foundation for your success. 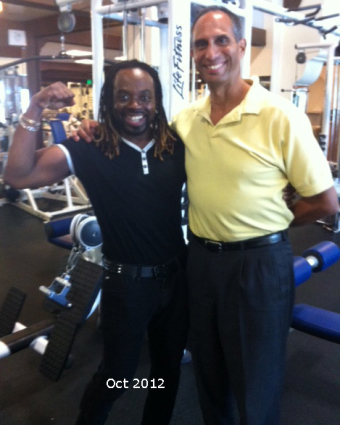 Coach Ruben is a proven successful coach, who has trained many champions in sports, health and business. Having lost over 50 pounds and having kept it off for over 15 years, you will benefit from his knowledge and experience! You will learn to take on the mindset of a champion and win at your game of a healthy lifestyle! Coach Ruben is a Board-Certified Lifestyle Medicine Professional and the author of the ground-breaking book “Evolving Health – Maximize Your Energy Using the Wisdom of Science and Divine Design.” This is the most comprehensive guide to developing a thriving healthy lifestyle that incorporates a total mind-body-spirit connection. Research shows that the cost for the average heart attack is currently in excess of $350,000! The average diabetic spends $1200 per month in medications. The cost of poor health, less energy and less vitality is immeasurable. The value of great health is priceless! Initial consultation to review your background and identify your needs and your goals. Set up an accountability tracking spread sheet to daily assess your progress. Phone/video/live sessions once each week for approximately 60 minutes to keep you on track. Anytime access via email, text, calls for answering questions, issues, concerns. Guidance, support, instruction and accountability. Phone/video sessions once each week for approximately 30-45 minutes to keep you on track. Be sure to watch this video in which Coach Ruben interviews one of his clients, Amanda, as she explains the process of how this coaching has helped her in reversing her diabetes in just the first 100 days. Footnote: as of September 2013, a year since starting the program, Amanda has released over 50 pounds, hormones restored to normal for the first time since puberty, vision restored, cholesterol down to 126 and off the statin medication, blood pressure normal, no more heart palpitations, peripheral neuropathy nearly resolved, swimming 2 miles 3 times a week, and more energy than she has had in years! Footnote: As of April 2015, 2.5 years since starting the program, Amanda continues to make progress and is enjoying more out of life than ever before! Limited number of clients being accepted. Before I started working with Coach Ruben in April of 2010, my life was in a dark, numb, decaying place. I was in a lot of pain both physically and emotionally. I’m 50 years old, 5 foot 7 inches tall, and was at my heaviest weight of over 300 (Wow! When I see that number it still freaks me out). My suit size was 52, and my waist was 48. My eating habits were fast food, sodas all day, candy, potato chips, sweet juices, cookies, and of course a real dependencyonCHEESE CAKE! Coach Ruben had gently approached me many times before, but I was not ready to hear his message. I had failed so many times in the past that I thought there was no hope for me. I thank the Universe that Ruben was patient and persistent. He knew that when the student is ready the teacher will show up! I guess you could say I was in the perfect storm of pain. I had just lost my wonderful mother, my health was declining and I had basically given up. My back was up against the wall. My choices were to live or die. I chose to LIVE!!!!!! Some of the key lessons and insights that I have gotten from working with Coach Ruben include: It’s not my fault!!!!!! And, it’s never too late to change! In the past I used starvation to diet. But Coach Ruben taught me how to eat, what to eat, and when to eat. He taught me how to exercise and achieve a balance. And all this was done with core spiritual principles. Since I started working with Coach Ruben, my whole lifestyle has changed! Before I was in a victim state of mind – now my consciousness is rooted in being victorious!!!! I now exercise 6 days a week, which consists of strength/resistance training and cardio. Additionally, I’ve learned and I continue to learn what to eat and how to eat! As a result, in just 14 months, I have physically lost over 80 pounds!!! My suit size is now a 42, and my waist is 36. The side effect of losing this much weight is that I look and feel really, really good! I still have a ways to go for me, but emotionally, I have an entirely new level of confidence and direction in my life. Mentally, I have amazing clarity. Spiritually I have a deep abiding sense of peace and purpose like never before. Coach Ruben is a healthy lifestyle coach, with emphasis on LIFE, because through his guidance my entire LIFE has been transformed! 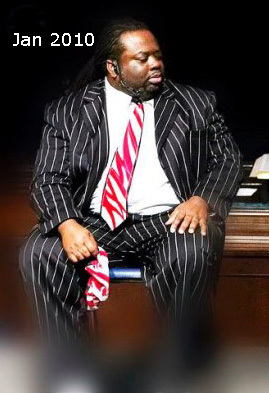 Footnote: April 2015 marks FIVE years since Reverend Charles began the program. He is still extremely fit, trains 6 days a week, and has become an inspiration to others as The Fitness Maestro! Remember, 95% regain their weight in two years or less. Rev. 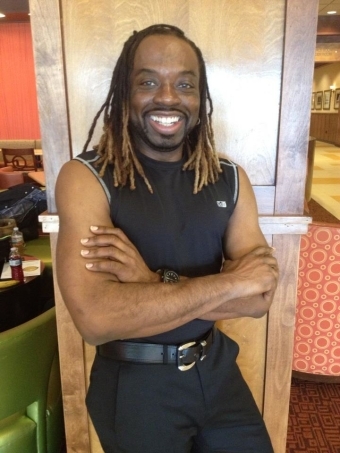 Charles will NEVER go back to the way he was because he has successfully created a new lifestyle! Hi Coach, It’s hard to believe it’s been almost 8 months since we started working together. If someone had told me prior that I’d be able to stick with an exercise/health plan for this long, I would have been stunned. But that’s what’s happened. Here’s what I’ve gotten from the program so far: 1) I’m much more fit…I can do cardio work for 35 minutes, get my heart going at about 135-140 bpm just about every morning. Once a week, I push that to 60+ minutes and it feels very comfortable. 2) I feel stronger…The weight work (3-4 times per week) has made a difference and I feel more flexible as well. 3) I’m paying a lot more attention to my health….I’m eating better and getting more sleep because I made the commitment and because I’m being coached and encouraged each week. All told, I feel better in every way because I’ve changed my lifestyle and my priorities. Exercise and “eating right” are part of my life now and it’s paying off in lots of ways. I’ve even lost weight and it’s staying off! It’s been many years since I was able to keep my commitments about exercise and healthy eating. Working with you, Ruben, is clearly the difference. It started with really good information you provided about health and nutrition and a strategy for fueling my body. Then we built a daily checklist to help me keep my commitments and to monitor my progress. Our weekly check-in calls have provided the structure and accountability I needed to stay on track and to keep moving forward. Your encouragement and feedback on our weekly calls have been an important part of the program, too. Hey, if I could have done all this on my own, I would have. My experience is that I needed the calls and the advice to stay committed and it worked for me. Feel free to have potential clients call me, Ruben. I’d be happy to talk about my success and how you helped me. I currently run a comprehensive financial planning firm. It is extremely important that I maintain my health, so I can run my business and maintain a high quality of life. When I met Ruben, I was recovering from a cycling accident and wasn’t able to exercise at all. Also, I was having breathing problems where I saw a couple of Dr.’s and a specialist, but they kept trying different medications to help cure my “asthma.” Ruben helped me identify that I actually had a food allergy and this allowed me to exercise again. I am back to marathon training and am so grateful to have my health back, which helps me perform better in all aspects (work, relationships, etc) of my life.